There’s a long-running joke behind the bar that goes like this: “It’s not called ‘Complicated Syrup’!” and it’s just about every bartender’s go-to joke when one of our coworkers screws up the simple syrup. There’s a reason why it isn’t called “Complicated Syrup”. If you can heat water on a stovetop, you’re on your way to making drinks like a pro. But it can be a little complicated and daunting if you’ve never had to do it before. I remember when I first really sat down to learn how to make simple syrup the right way, it was a little overwhelming to find all of these lengthy articles on the internet and in books. They talked about brix and solubility and pH and all this other stuff that, quite frankly, isn’t really necessary to know. 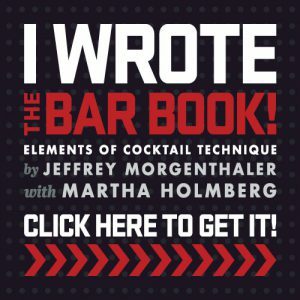 I did go into this topic at fairly great length in my first book, The Bar Book: Elements of Cocktail Technique, if you want to read more about simple syrup. And if you want a doctorate course in it, I highly recommend my friend Dave Arnold’s book Liquid Intelligence. 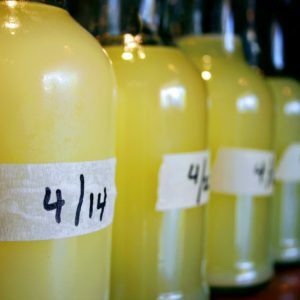 But here I’m going to pare it down to what you really need to know, whether you’re a home user or a bartender, about simple syrup in order to make great drinks. The most important thing you should know about making simple syrup is that in order to maintain consistency and be certain that the drinks you’re making are tasting just like my recipes, or anyone else’s recipes for that matter, is you have to measure your sugar and water by weight. To put it in the clearest terms I know, the volume of sugar is variable depending on what type or brand of sugar you’re using. But a pound of sugar will always be a pound of sugar. So when we talk about ratios like 2:1 and 1:1, we’re talking about sugar:water. Get yourself an inexpensive digital kitchen scale if you don’t already have one. It lasts longer. 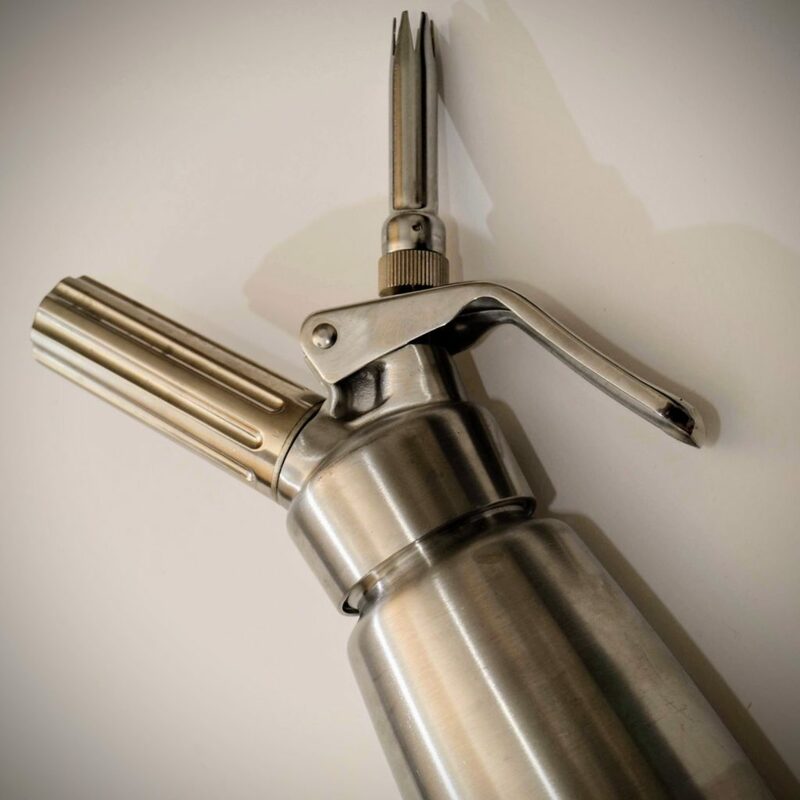 2:1 simple syrup is much less prone to spoilage than 1:1 is, as the 1:1 ratio is much more hospitable to mold and bacteria. 2:1 simply (heh) contains too much sugar. Your drinks are slightly richer. I learned this in Europe, where most bars use 2:1 simple. Makes sense, right? Less water, more flavor? Sure. The drinks are just a little more rich in the mid-palate, which is where flavor lives. It takes up less space. I mean, just slightly, but in a professional environment every inch counts. Anyway, here’s how we do it. Weigh out some sugar. Doesn’t matter how much, really. When I make this at home I just eyeball it and divide the weight of the sugar by two. You need a recipe? There’s one below. Weigh out half that amount in water. Did you use 1 kg of sugar? Then weigh out 500 grams of water. You got this. Put the sugar and water in a pan, and put it on the stove. Turn the heat to low and stir to combine. Stir the mixture occasionally until the sugar has completely dissolved. Let the mixture cool and pop it in a squeeze bottle or two. Store it in the fridge. I like using these clear squeeze bottles for mine. If it’s gone bad, you’ll be able to tell. No mold or weirdly colored spots? You’re good to go. Anyway, that’s all there is to it. You can now make any of the recipes that call for simple syrup on this website or in any of my other writing. Go nuts! Let the mixture cool and put into the container of your choice. omg… These are the bomb! Gee, Pat, thanks! I’ve never seen someone get so enthusiastic over simple syrup, but your excitement is certainly a boost for the old ego. What’s the best way to store simple syrup? Keep your simple syrup in the fridge, Heather. If you’re not planning on using it for non-alcoholic drinks intended for children, you can add a tiny splash of vodka to keep it from spoiling. I’m not exactly sure how long simple syrup will stick around, it doesn’t last long at my work. At home, I make very small batches that I know will be gone in less than a week. My guess would be that you won’t want to keep it around for much longer than a week. Actually, simple syrup seems likely to last indefinitely in the fridge. Concentrated sugars will kill most “bugs”. Jams and jellies were invented as ways to preserve fruit in sugar. The info for storage for simple super was very helpful. What’s your opinion on flavoring it? perhaps with lemon? Zeph – Yeah, you’re wrong on this one. Whip up a batch and leave it in your fridge until you see black spots on the surface and you’ll see what I mean. Pa C – No, use lemon to flavor your drinks, not your simple. If you’re hell-bent on making a flavored simple syrup, use herbs, roots, spices, things like that. Think vanilla bean, think lavender, think cinnamon. I really love my mojitos with a super-spearmint kick, and sometimes I have trouble finding really potent leaves at the stores around here in the winter. So when I make my batch of simple syrup for winter mojitos (I know, I’m weird.) I throw in a few sprigs of spearmint after I turn off the heat and let it cool. After cooling, I strain it and follow the recipe as usual. Yum! Here’s an idea for those worried about storing their simple syrup. Mix 1 part syrup to 3 parts water and use it to re-fill your hummingbird feeder. Way cheaper than store bought but the birds don’t seem to mind. Obviously if you used vodka as a preservative, this isn’t for you. Great site, every recipe I’ve tried is a keeper! can other types of sugars be used as a substitute, ie. unrefined cane sugar, or maybe other non-fructose type sugars? thanks! 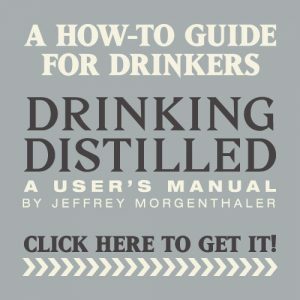 Hey Jeff… I was referring to the R. Gimlet, not simple syrup. Guess I don’t know my way around your site yet. Good luck in Ptown. I’m in the process of moving up here as well. Hello. What exactly is granulated cane sugar? Is it widely available? Its also known as white sugar. You can get it just about anywhere. Thank you for this, I plan on utilizing it the next time I get into a bind. Here’s the deal: if you put sugar in boiling water and let it go for a while, you –will– sterilize it. 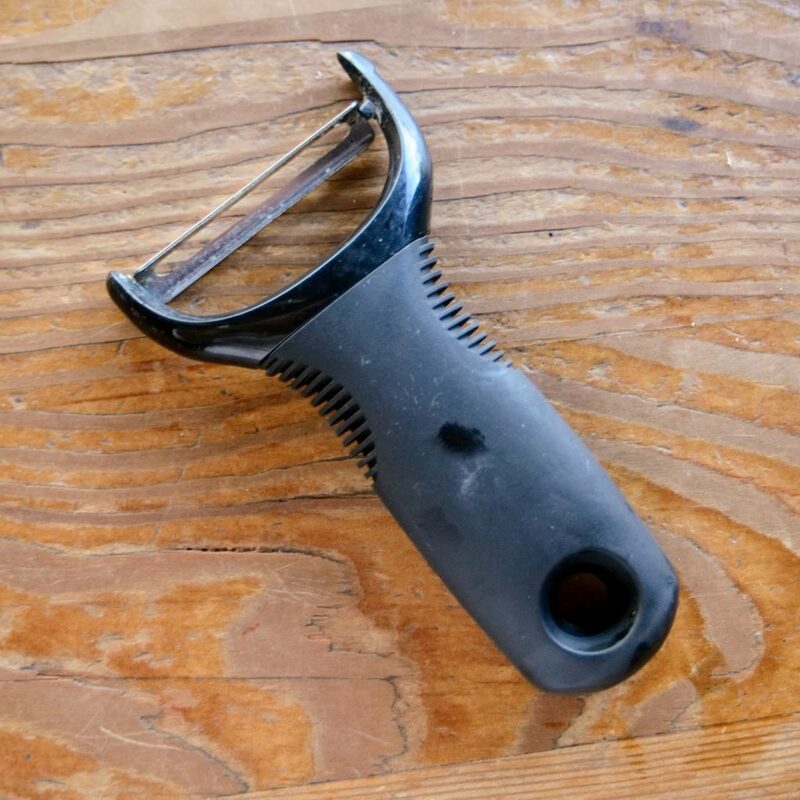 If you put it in a –sterilized– (not just clean, but kill the little critters) bottle, there won’t be any little critters in there and it should last for quite some time. You might introduce a few microbes by opening and pouring, but I think the kicker is putting it into a sterilized bottle. Jams and jellies definitely go into sterilized containers. Either use a glass container and boil it or, perhaps, use some homebrew sanitizers. Is this saying “One pound and 2 cups” or is it saying “One pound or 2 cups”? Because 2 cups of sugar doesn’t equal a pound, and there’s likely to be very different results. My simple syrup seems weak. I used two cups of water and two cups of sugar, combined them when the water boiled and let them cool. The .75 ounce of syrup I used in my mojito didn’t seem to be enough. Just discovered this site – I am in awe! Barrel aged Manhattans! Homemade tonic water! Simple syrup is a subject on which I feel qualified to make a contribution. 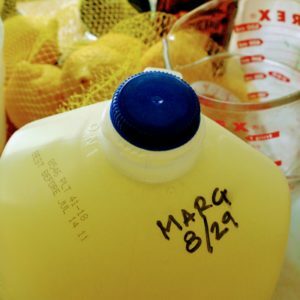 I make simple syrup in quart batches and I find that it keeps indefinitely. I also double the ratio to 2 parts sugar to 1 part water. It creates a “thicker” syrup, but I’ve found through unscientific experimentation that 2 cups of sugar will produce 2 cups of syrup whether you use 1 cup or 2 cups of water, so my deduction is that the end product is equally sweet by volume, just less watery. I also infuse my syrups with flavor by simmering the syrup along with bunches of mint, basil or chopped habanero. Thanks so much for this and your gallon margaritas recipe! I unexpectedly found myself having to make margaritas for a picnic and my usual go-to reference (my dad) is travelling out of the country. I’m so relieved to find such an easy and good recipe that so many people love. During my searches, I discovered that most recipe sites either have non-alcoholic margaritas punch recipes or, worse, fruity-flavoured recipes that made me cringe just reading them. When I came across your recipe, I was worried about “simple syrup” because I’ve never heard of it before and in my tiny desert town, it is very hard to find things in the stores. Thank you for including a link to this recipe there; otherwise, I’d be heading to the store right now in search of some sub-standard margaritas mix that would surely mean no-one enjoyed themselves at the picnic! I make simple syrup and then steep mint leaves in it. I’ve also discovered that it keeps longer if you freeze it. It stays soft but frozen and you can scoop it out for your mojitos or ice tea. Hi, Jeffrey: You’ve opened up a huge realm of possibilities for some serious ginger beer fans, and you comment givers are great, too! I have one question: we’re trying to use agave nectar for our soda makings/root beer brewings, rather than sugar. 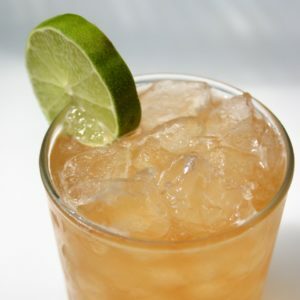 Do you have any idea the equivalent amount of agave would be that would equal the simple syrup amount in the recipe? Thanks…I’ve passed your stuff on to friends and we’ll ALL be checking in. I use a more traditional 1:1 ratio. I’ve kept it in my fridge for nearly two months before. No mold, no odors, no change in flavor, no change in taste, and no one has been sick when making cocktails with it. Around the two month mark I tossed it and made a new batch just for the hell of it, but at least as far as I can tell, with a 1:1 syrup, it doesn’t go bad if kept refrigerated. I love your website Jeffrey! Now, I know some of you may wonder – if you click on my website – this gal is a diabetic (Type 1 – pancreas packed it’s bags when I was a child – took off without moi) – but heck – I like a nice sippy drink from time to time. I tried the Mojito recipe you posted – EXCELLENT. I’m going to try the simple syrup recipe as well. I’ve posted your recipes for both on my Facebook page in my Notes section – and have credited your website. Hopefully you’ll get more hits – and folks looking for good recipes! Can I use sugar in the raw or other unrefined cane sugars? I know the simple syrup will probably be “cloudy” but will taste be affected? 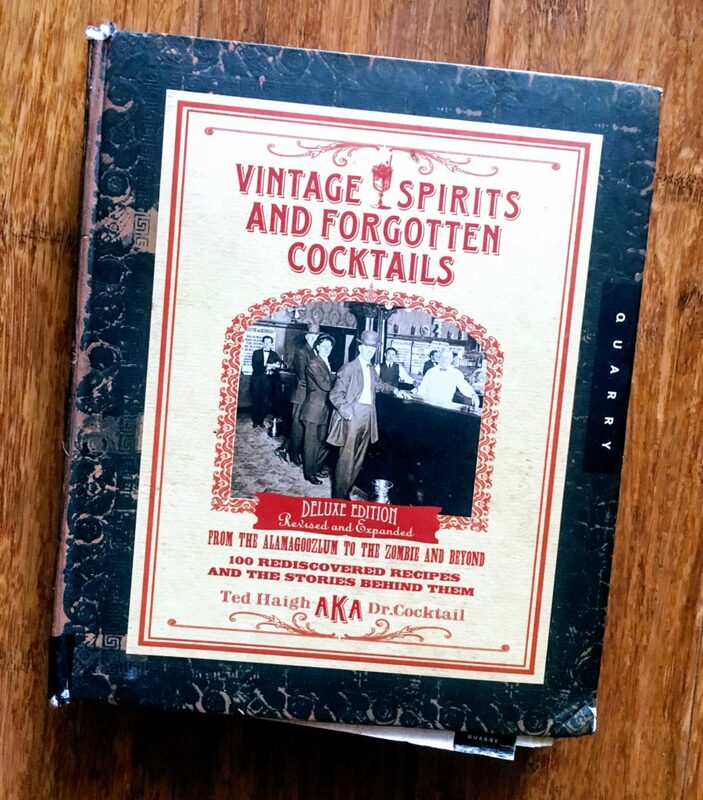 I’m so glad I came across your website and I can’t wait to try the Brandy Old Fashioned recipe especially with the holidays coming up. Thanks! Also, just a tip about storing simple syrup for your readers… Like you, I make a small batch for home and store in the fridge, but the container I use is the OXO Good Grips Salad Dressing Shaker. It has a serving spout top that also has a leakproof seal that closes airtight when not in use and it’s dishwasher safe. For what it’s worth, I make syrup w/a 1:1 ratio, add 1 tbsp vodka (you can’t taste it, really don’t think it would be a problem for children’s drinks) then put it in a dishwasher washed glass jam or salsa jar w/screw top lid. I don’t make that many cocktails so I have had my current batch in the refridge for 3-4 months if not longer & it is still as pure, clean & smooth as the day it was created. Sometimes I add some fresh sliced & peeled ginger to my simple syrups. It’s pretty tasty, especially in white sangrias. Hey Joe, Zeph, Jeffrey and others, I wanted to add my 2 cents of knowledge on the storage aspect. I am a horticulture major at Michigan State University and I just finished a course in apiculture (bees). You’ve probably heard that honey doesn’t spoil and that’s due to the high sugar content. Properly formed honey will be about 80% sugar. If it gets more watered down than that, there is the potential for spoilage. Simple syrup is basically man-made honey which is why when Joe makes his simple syrup twice as sugary, he has a better shelf life. Is it feasible to use agave syrup as a source in place of the cane sugar to make simple sugar syrup? Better yet, just use the agave syrup in place of the simple sugar syrup? Any thoughts? Brand name is Wholesome Sweeteners ‘Organic Blue Agave”. Listed as 100% pure agave nectar & a low glycemic organic sweetener. From my local Coop. Listed as 25% sweeter than sugar so ‘you need less’ so you can use wherever you would use sugar. I suppose the artful challenge is to identify what unit of agave syrup is equal to ‘x’ unit of cane sugar. My objective is as a sugar source for brewing ginger beer. You can use agave instead of simple syrup. You just about 3/4 as much. The one drawback is it will discolor lighter drinks. Your Tom Collins and Mojitos and so on will be a light brownish instead of white. That probably wouldn’t be a concern for ginger beer. The first time I made this, many years ago for my house party, I had quickly had a backyard full of insane(ly happy) people. The simplest recipe can easily blow the most minds. So, thanks Jeff. Since then, I’ve tweaked it with a little less citrus, hits of honey or nut syrups, and turbinado or brown sugar. Works every damn time. I’m breaking it out again in 2 weeks for a friend’s 40th birthday party. Wish us all luck – especially the next morning. Salud! How far in advance can I make these margaritas? It’s Thursday, can I make now for Saturday or do I need to make the day of?